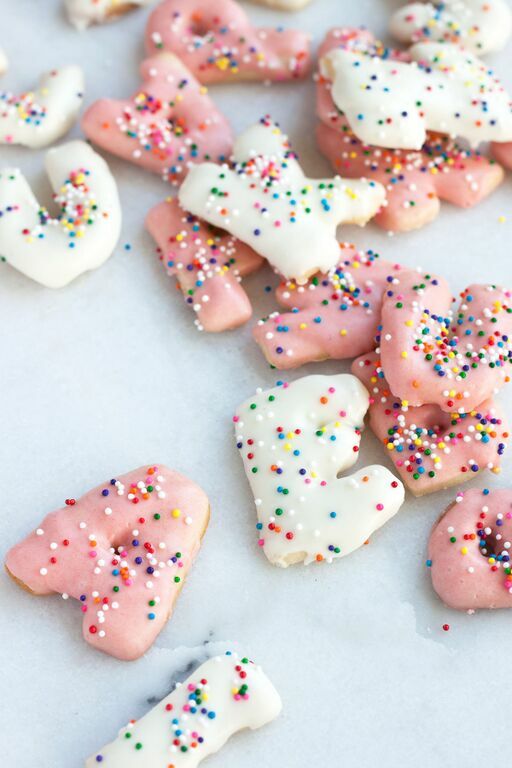 Caution, these adorable cookies will definitely bring some flashbacks! 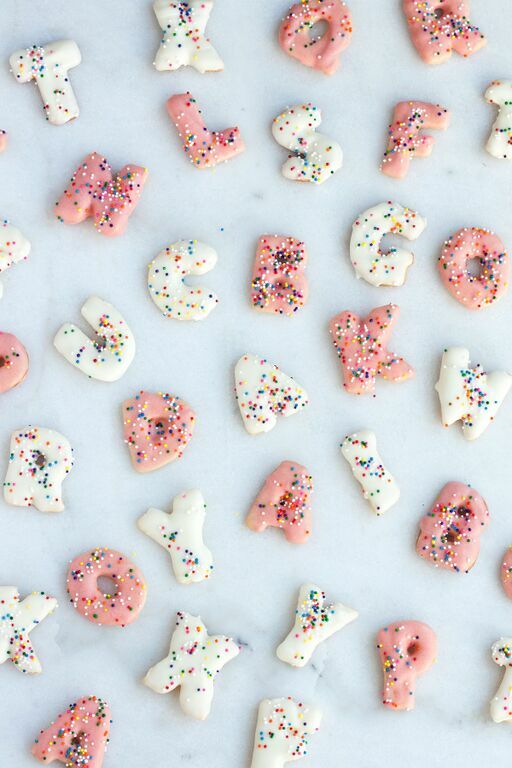 This Alphabet Cookies recipe by Jamie Shields of Paint The Gown Red is the perfect way to get your kids excited about spelling. 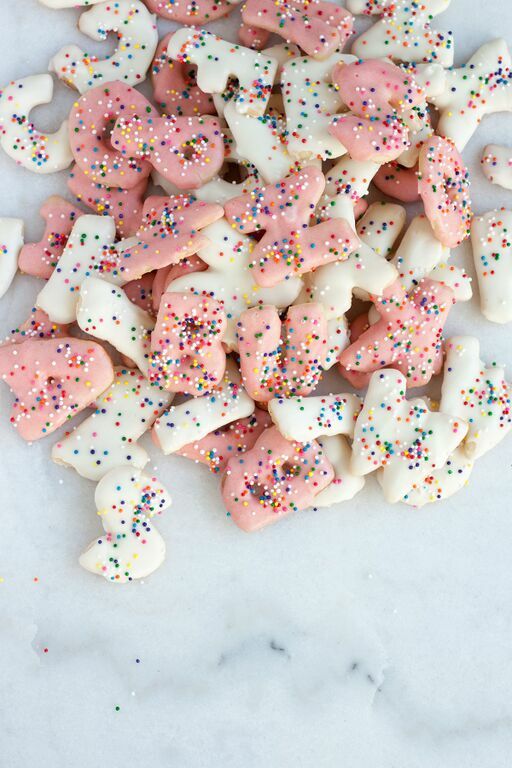 Even better, these cookies are just as delicious as they are adorable! 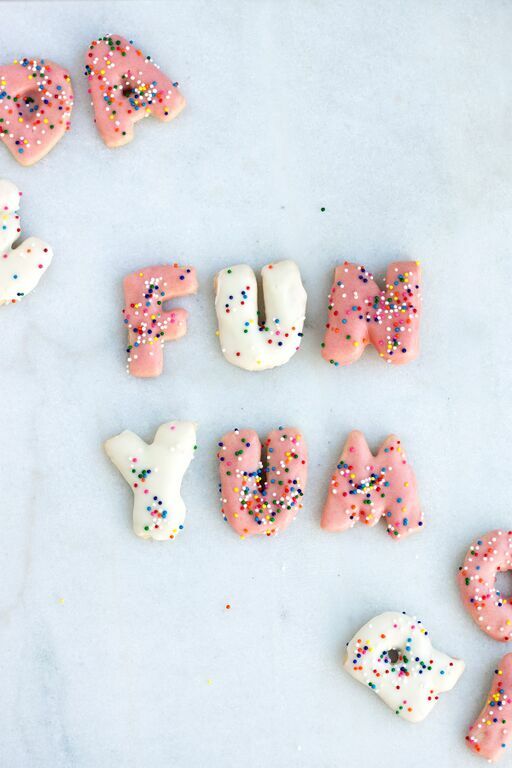 Make these as an easy treat for your kiddos, party favors for a birthday or end of school sweets. Check out Jamie’s cute cookie recipe below, we can’t wait to try these out! In the bowl of your stand mixer, cream butter and sugar until smooth. Add egg and milk. Slowly add dry ingredients into the wet ingredients and beat until fully combined. Cut dough in half and shape into disks. Wrap each disk in plastic wrap and refrigerate 2 hours or overnight. 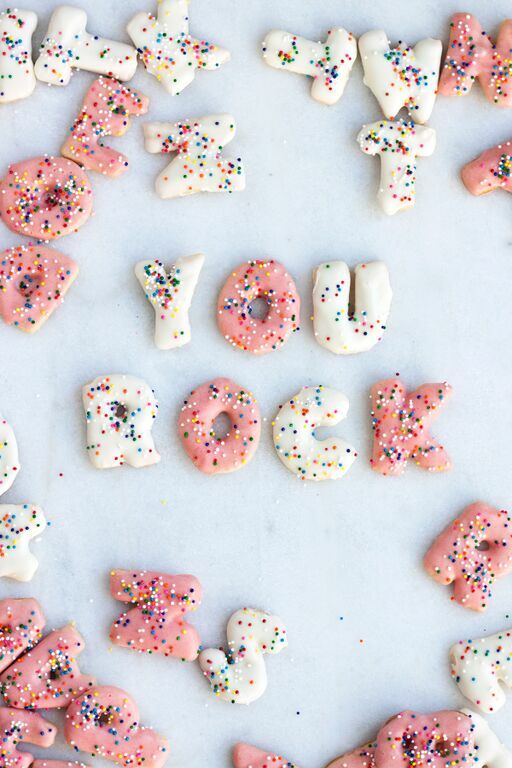 On a lightly floured workspace, roll out dough ¼” thick and cut out letters. Place letters onto parchment lined baking sheet. Bake at 350F for 6-8 minutes or until edges begin to brown. Let cool completely. Make the frosting by using a double boiler to melt white chocolate chips until smooth. Add vegetable oil to melted chocolate. Separate into two bowls and add red food dye to one bowl. Dip cookies into melted chocolate and place on wax paper to harden.